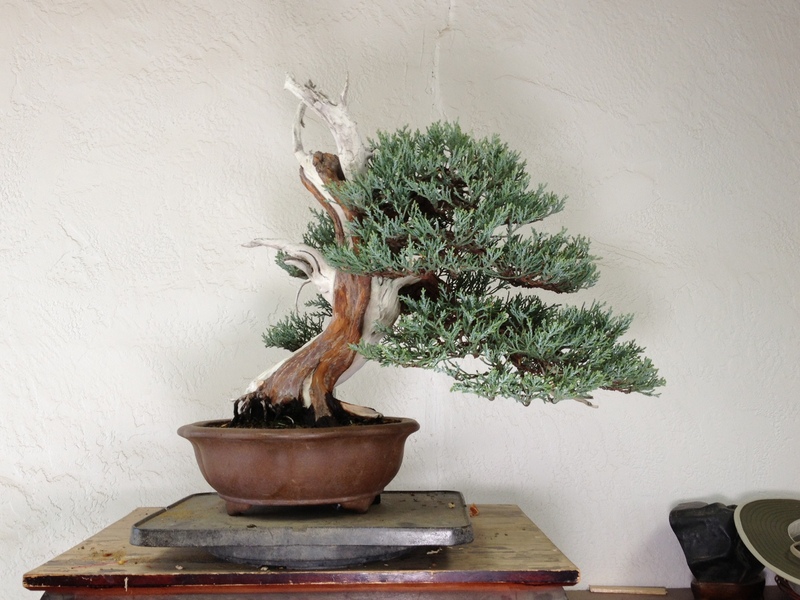 This is Rick’s tree in Boon’s work shop getting ready for the East Bay Bonsai Show. It is a medium size tree. Rick has done some good work here. But there is also something else that makes this a desired tree. It has curves. It is hard to find a small Sierra Juniper with curves and good shari. If you can collect or buy one, hold onto it! This entry was posted in American Bonsai, bonsai, Uncategorized and tagged Bonsai Pictures, Bonsai Training, Bonsai Work Shops. Bookmark the permalink.